D colour diamond engagement ring. Product code: 921 Category: Sold Items. 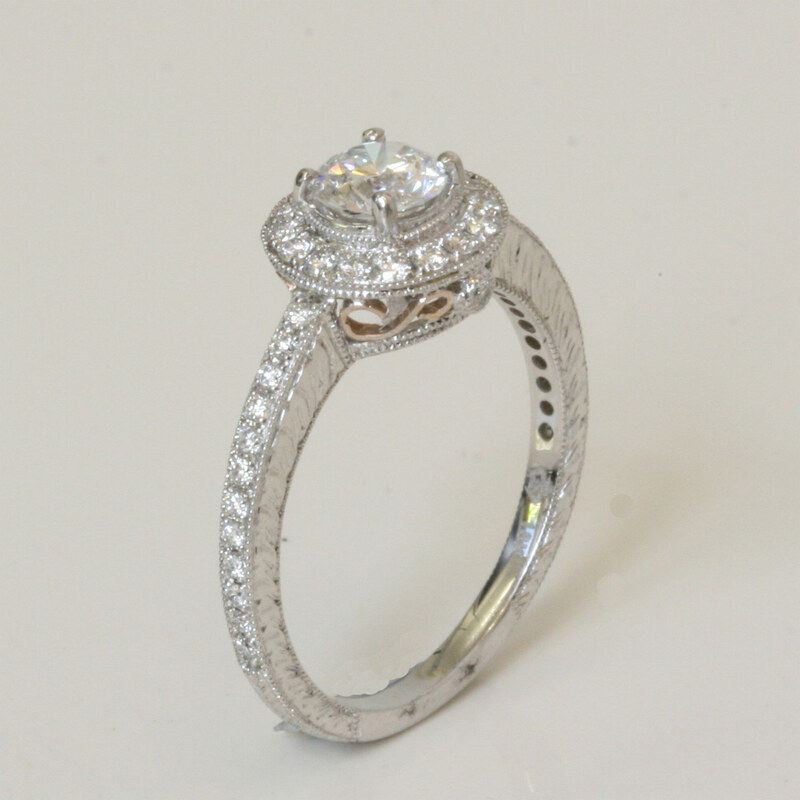 Here is a stunning and elegant diamond ring, perfect for an engagement ring. Made by Lora Di, a company that puts so much attention to detail, the centre stone measures 0.50cts and is D colour VS clarity – a perfect diamond. 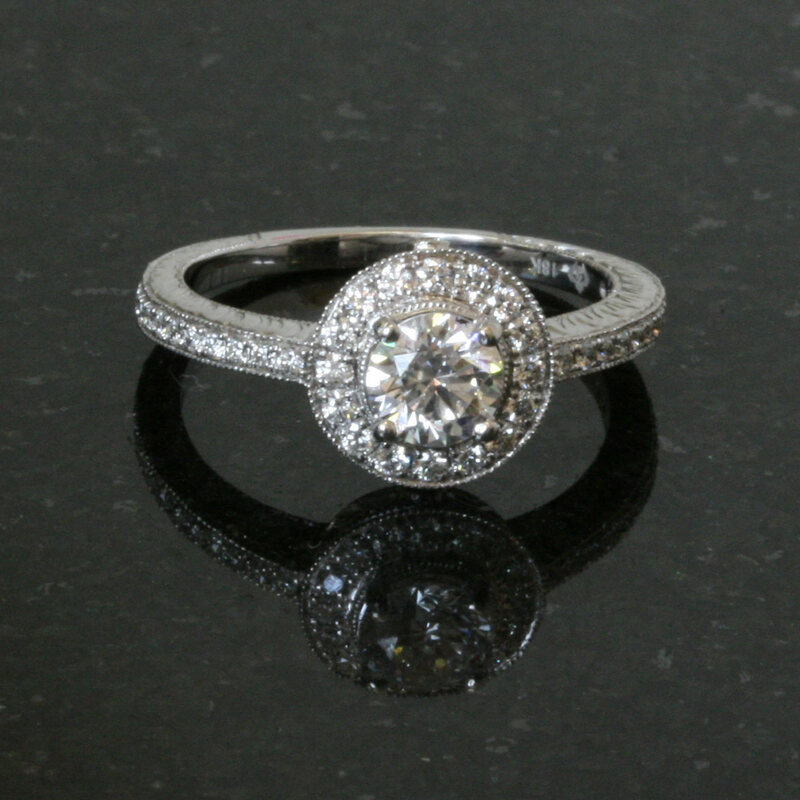 To further enhance the ring, there are another 42 round brilliant cut diamonds, giving this ring so much extra sparkle. This ring is made in 18ct white gold, and on the side, it is made with delightful 18ct rose gold scroll work making it so individual. With fine engraving on the sides, this is an engagement ring that is simply superb.